Product information "Deer in the woods sence 8 day with music"
This is a wonderfully made cuckoo clock. With an 8 day mechanism, which you have to wind up ones a week. 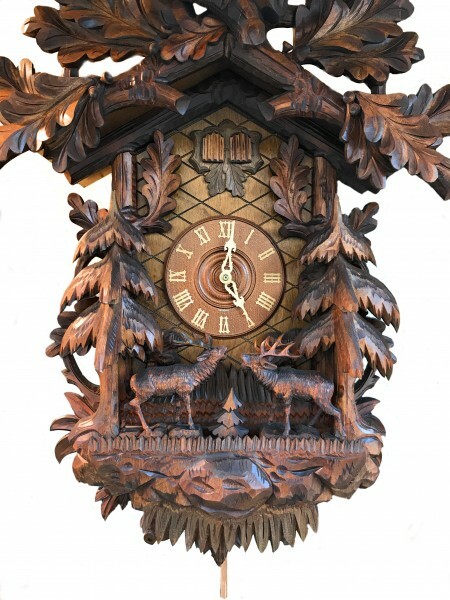 The Clock features hand-carved wooden deer figures with a forest surrounding them. On the top, you have a great hand-carved wooden eagle. Related links to "Deer in the woods sence 8 day with music"
Customer evaluation for "Deer in the woods sence 8 day with music"